Even though the press gave creator Brannon Braga a hard time, the cast seemed to embrace the nature of the series. It’s also a show that should resonate with fantasy and historical fans. Daily Actor sat down with Shane West during a roundtable discussion to talk about the series and his character John Alden. As far as period pieces go, in the panel you mentioned that Salem was kind of the first period piece. But I would say that League of Extraordinary Gentlemen was kind of a period piece in a way. 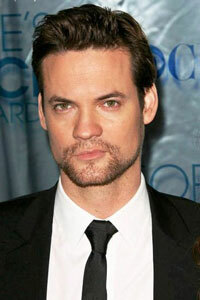 Shane West: I was thinking about it when I said that. In a way, yeah. I guess…But also because you’re looking at in both examples being historical fiction in a way. Still having that fantasy element, but with League it felt like essentially a superhero movie, like a comic book kind of thing. With this it’s so realistic with adding that element of the horror genre that you really believe it. Like when you have a creepy hag, when you have the million things that weren’t actually in the trailer that will make it even more exciting to see, roaches, maggots, frogs, all these things. No CGI. Literally these things, it’s pretty gross, but it also feels very like it could be very real. So what drew you to the role when you got the script? What excited you about this series? Shane West: This was brought to my attention when I was finishing up Nikita, actually, in Toronto. And all of us knew since it was our final season that we were actually either everyone was gonna take a break or they were looking for the next job. And a lot of us started looking for the next job and I was looking at new pilots and only cable at the time because we were just finished 22 episodes for four years or whatever and it was like I need something smaller. And this one came across my desk because one of the directors on Nikita said it was, there’s no affiliation with the show whatsoever, but he said it was the best script he had read in years. So I read it and it really was, but it’s scary, as you know because we can all be critics, would it actually be shot the same way it was written? Would this be filmed this way? Will you promise not to use a bunch of CGI? You have to use some, but not a ton. Do you promise to use all of these legitimate sets? You really gonna build a town? All that kind of stuff. And they literally did. We fly out tomorrow, but we’re all kind of giddy about it because that first episode was so real and legit that… and the second one is written very well. We have to shoot it, but it’s written very well so it’ll probably be even better than the first episode. Everyone’s really just kind of giddy about that. I think, yes, I was drawn to the character, but I was more drawn to the script. And that’s sometimes a rarity. A lot of people will take the character over that or try to create something that stands out or whatever it was, but this is like every character stands out. What type of research did you do for the role just because this is so entrenched in Salem, Massachusetts? Shane West: I think, I won’t speak for everyone else, but I think I got to do the least because John, the real John Alden, his real story, besides the stuff that we’ll never touch upon on the show because it just doesn’t make any sense, is so basic compared to everyone else. What we’re sticking to with him, so I was able to do it in an hour, is he does go to work, he was a sea captain in reality, he’s not, I don’t think, a sea captain in the show, but he was constantly leaving town and comes back and everything has changed. The Salem Witch Trials are happening, he has no idea what’s going on, and he even gets accused, which we may touch upon later, of being one at one point. And that’s really the only history that we used for this because otherwise he had 14 kids, he got married, didn’t stay married. So I don’t know if that’ll ever be a part of it too. But you can’t get into it that much with that. Then I did a little research on the wars that were happening because you didn’t have the American Revolution yet so I’m just trying to think back in history, it was all the colony wars that were consistently happening. It was the King Williams war, to be specific, and it was Britain and France fighting each other over and over again to get, with the Native Americans involved as well, to get control of the states. So you can do basic research for that, but with Alden he really is, as I just have been saying earlier, I feel like he’s you guys. I feel like he’s the viewer. I feel like he’s the public and you’re following his journey if you choose to. Because he has no idea what’s going on. He doesn’t not believe in witches. He just lost the love of his life to the person he hated most in life. He’s been tortured during these wars, which they haven’t told me yet and I don’t wanna know what has made him so dark, but it’s really you as the viewer if you walked into a town and you saw a guy with the frog in his throat, all these crazy characters, and you’re like, “What on earth is happening? What is happening to my town?” And so he’s, with that love story built in the middle, I think that’s kind of what keeps him there and I think it’s what keeps the more hardened audiences there besides the fact that people might wanna see these really awesome creatures and things that we’ve created, which are awesome. As far as your character is concerned, what do you think surprised you most when you were reading the script and how far in advance do they give you the script? So maybe you’re not sure how his character is going to proceed through the rest of the season? Shane West: I think what surprised me most is for Alden specifically, when he goes to war we were told that he had a back story of being a prisoner of war for at least a war. So you’ll see some elements of that in the first season. I think you’ll hear kind of an audio effect of what might be going on in his head that they’ll explore later and I think that’s going to be the biggest surprise because I still don’t know, because they still haven’t told me, and that’s kind of what we’re trying to do on purpose and I don’t wanna know until they know for sure. And that’s going to be the biggest surprise. But otherwise, it’s been fun especially for the first episode because, like I was saying before, he’s more of a reactive into what he’s seeing when he comes back into town. So it’s more of just a surprise every day to see how amazing the sets are, how amazing the costumes are. I’ve been fortunate to be in a couple of the scenes where some spooky effects have happened, so I got to witness that firsthand as well, which I think are really gonna blow people’s minds. So I think it’ll be kind of a surprise every day. I don’t think there’s too much for John. He is what you get. You know? He is that first American hero. He is that John Wayne in a sense that he’s just no nonsense. So there’s not too many surprises with him. It’s more how he’s gonna react .